I had an inspiration to make these rose cakes for dessert this Shabbat. They are from a wonderful recipe HERE. 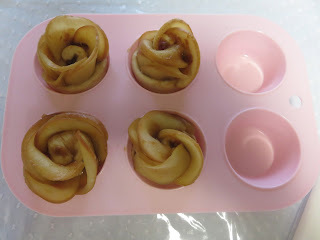 They are tarts made with dough for the `cups`, filled with date paste, rolled with sliced apples. I made the recipe using challah dough in place of the sheet puff pastry for the `cups`. 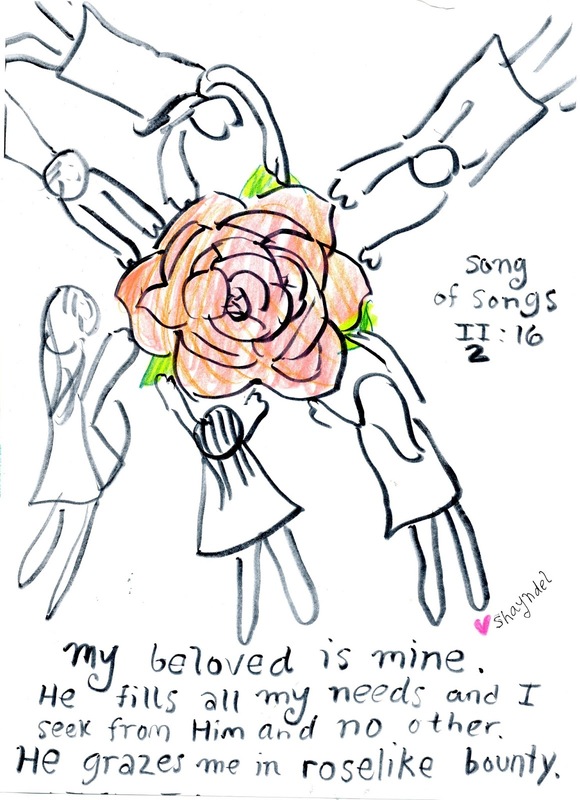 After we delighted in a Shabbat meal with the rose cakes for dessert, I was reading the Song of Songs, and the verse above stood out because of the roses. 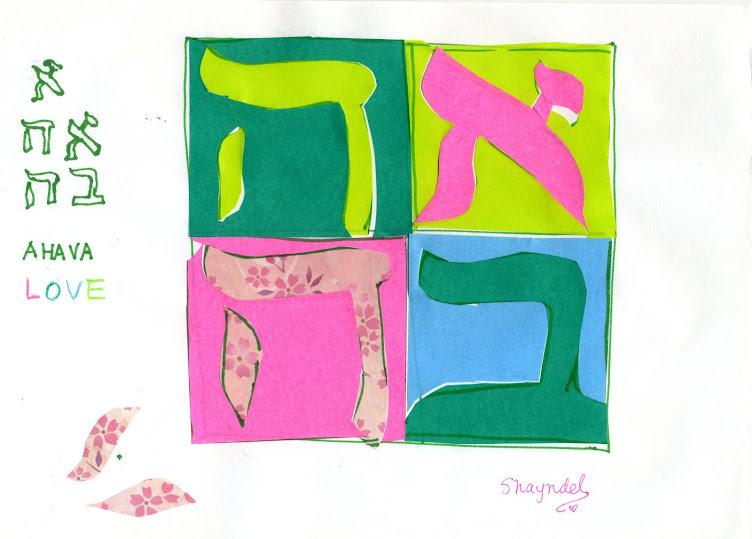 A prayer for today, from Song of Songs---- may we seek from Him and no other. May He graze us in roselike bounty. The roses look oh so bountiful and the tastes are delectable on Shabbat, even more so because it is Shabbat. Link: Apple Date Rose Tarts, recipe from Torey Avey. 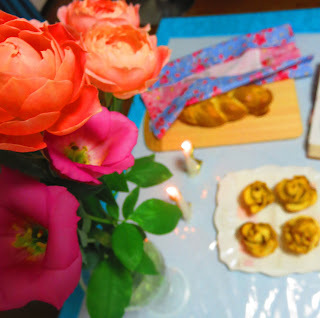 Challah and Cherry Blossoms Variation: I used challah dough to make the `cups` for the apple date roses, and rose hips tea for the `rosewater`. They are beautiful, "roselike bounty" indeed! You are clever! I love the way these "roses" from dough turned out. 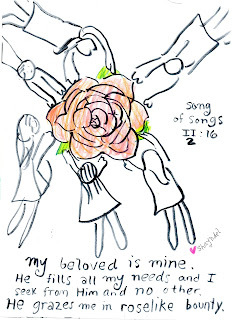 Oh this Song of Songs Scripture, I love it. So uplifting. 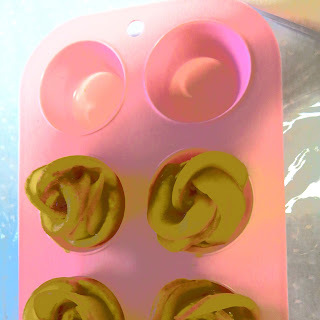 These rose cakes look Yummy. How creative that they are made in the shape of roses. These are cool pictures. Thank you Mari, Mary, and Red Rose Alley! Uplifting and bountiful days to you!! "May we seek Him and no other. May He grace us in rose like beauty." How beautiful from the Word of God is this prayer to go along with your amazing creation. Blessings and thank you for your visit, it is always so encouraging to share a love of the LORD!! Blessings and Have a happy day to you too! !